One of the stand-out players this season for Norwich City has been Angus Gunn, who has produced a stack of impressive performances between the sticks. Following in the gloves of his father and Canaries legend Bryan, he's also become a firm favourite amongst the fans and deservedly been chosen to feature on our latest OTBC programme cover. The artwork has been produced by Scott McRoy, an illustrator based in sunny Devon who is well known within the world of football art for producing striking images of players. His portrayal of Angus Gunn references a colour scheme and pattern harking back to one of Bryan Gunn’s old goalkeeper kits from the '90s, creating a sense of nostalgia within a colourful and explosive piece of artwork. "I like using dynamic images of players and going crazy with colours and try to add some dynamism into it with shards and shapes. 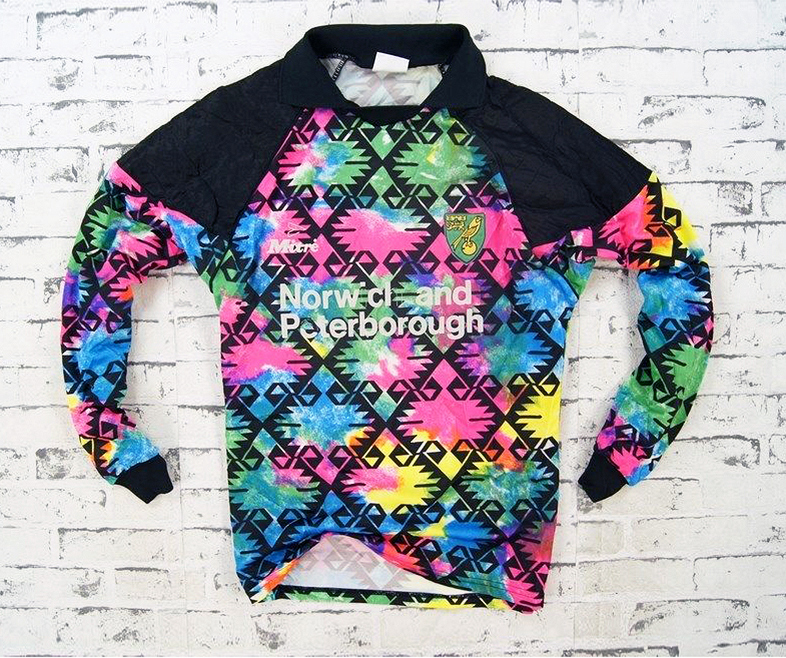 My illustration of Angus Gunn includes an array of bright colours and I took inspiration from an old Norwich goalkeeper shirt worn by Bryan Gunn in the 1990s, as it was particularly bright and colourful and because his Dad wore it! Hope you enjoy what I’ve come up with!"